Following an impressive debut show at last year’s Summer’s End festival Damanek (Guy Manning: vocals, keyboards, guitars; Dan Mash: (‘Maschine’) bass; Marek Arnold: (‘Toxic Smile’/’Seven Steps to the Green Door’) saxes & clarinet; and Sean Timms: (‘Southern Empire’/’Unitopia’) keyboards, backing vocals) will release their first album ‘On Track’ with GEP in May 2017. 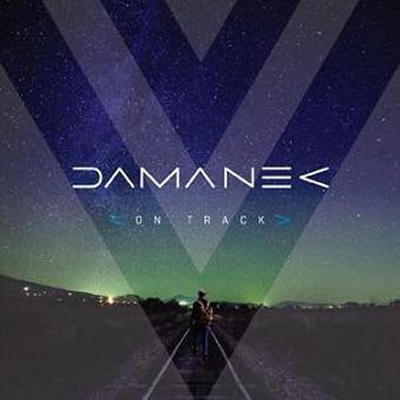 ‘On Track’ is a genre-defying collection of sophisticated songs that manage to combine impressive technical proficiency with catchy hooks and vast soundscapes. Sean Timms’ sleek production adds to the overall sense of quality and class on this impressive debut. The recording of ‘On Track’ is completed by a stellar list of guest musicians including: Brody Thomas Green (‘Southern Empire‘) – drums; Tim Irrgang (‘UPF’) percussion; Antonio Vittozzi (‘Soul Secret‘) – guitars; Luke Machin (‘Maschine‘/’Kiama’/’The Tangent’) – guitars; Stephen Dundon (‘Molly Bloom‘) – flute; Nick Magnus – keyboards; Phideaux – vocals; Ulf Reinhardt (‘Seven Steps to the Green Door‘) - drums.